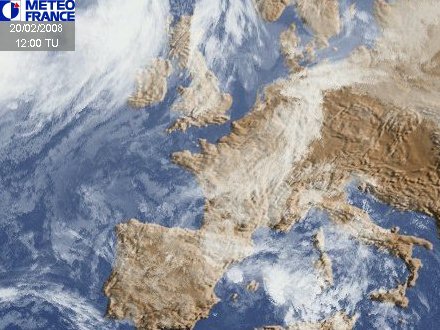 Met Éireann Web site at http://www.met.ie includes forecasts, latest observations, satellite images, Hirlam charts and some climatological data. RTE Weather in co-operation in Met Éireann. The Physics of Climate Change : What we know and what we are uncertain about - 2016 Statutory Public Lecture of the School of Cosmic Physics by Professor Tim Palmer (University of Oxford) on Thursday 24 Nov 2016 at Trinity College Dublin. 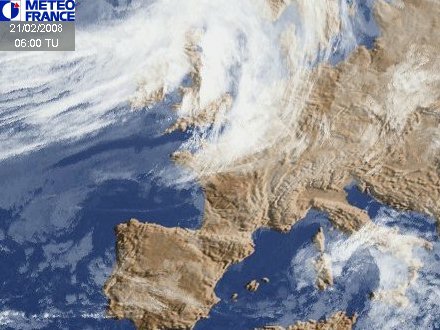 Latest METEOSAT Satellite Picture from the University of Nottingham. High resolution NOAA Satellite Pictures from the NERC Station at the University of Dundee. Free registration. 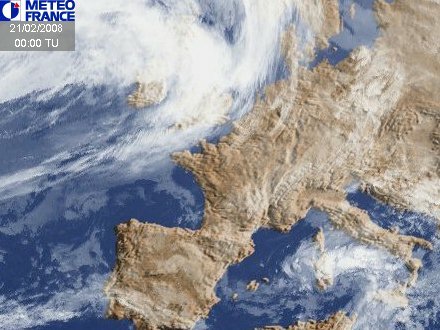 METEOSAT images up to the full resolution of 2500 x 2500 pixels and some images from GOES(USA) and GMS(Japan) also from Dundee. Animation loop of Ireland and UK from the BBC Weather. ESA: The European Space Agency has developed satellite Sentinel-3A, successfully launched from Plesetsk in Russia on 16 Feb 2016, has started its in-orbit Earth observation. This is the third ESA-developed satellite carrying four Earth-observing instruments ready to provide a ‘bigger picture' for Europe's Copernicus environment programme. Radar Animation of Ireland and UK from the BBC Weather. High Resolution Forecast Charts from ECMWF. The Swiss http://www.westwind.ch site. Comprehensive collection of charts, satellite, radar and observation sources. Weather Maps and links from Wetterzentrale at the University of Karlsruhe, Germany. National Hurricane Centre , Miami . Official NOAA website. All the information on Hurrcianes including tracks and satellite imagery. The Met Office Web site of the UK Meteorological Office. 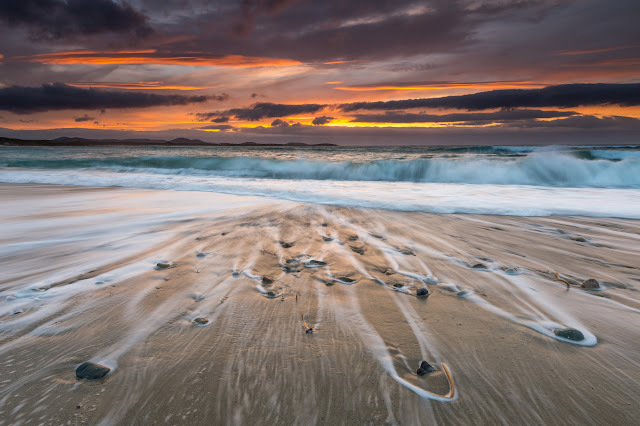 The Royal Meteorological Society: Home page of the RMS. TAFS, METARS and other Airport Information from Tom Dawes Gamble. Free registration.